Techcombank posted a record pre-tax profit of more than VNĐ10.6 trillion (around US$457 million) in 2018, representing a 31 per cent year-on-year increase. President of the Vietnam Fatherland Front Central Committee Tran Thanh Man visited low-income cancer patients at Bach Mai Hospital in Hanoi on January 27 ahead of the traditional Lunar New Year festival (Tet). 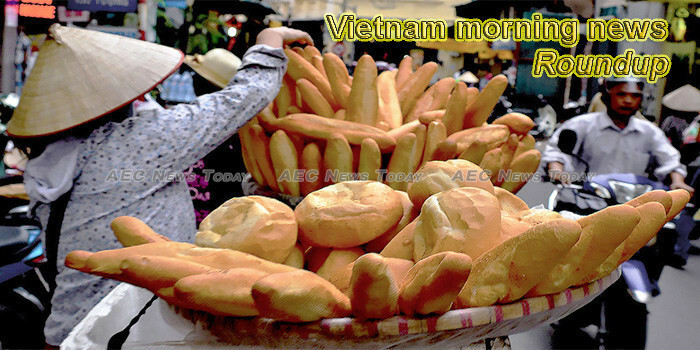 New generation Free Trade Agreements (FTAs) such as the Comprehensive and Progressive Agreement for Trans-Pacific Partnership (CPTPP), or the EU-Vietnam FTA (EVFTA) are expected to bring new opportunities for Vietnamese goods, including agricultural products. Enhancing product quality and optimising production cost would help domestic steel producers compete with the cheap products imported from China, Nguyn Văn Sưa, deputy president of the Việt Nam Steel Association, said. More than 797 tonnes of rice from the national reserves have been granted to poor households in the central province of Ninh Thuan from January 24-26 ahead of the (Tet) Lunar New Year holiday. Public investment has been seen as an important area in the annual socio-economic development tasks. Therefore, in its Resolution No. 01/NQ-CP, issued at the beginning of the year, the Government has urged for the restructuring of investment, with a focus on public investment. The State Council for Pre-Acceptance Test of Construction Works has tested the Ha Long-Van Don expressway, which connects with Ha Long – Hai Phong – Hanoi expressway and Van Don Airport, and agreed to put the road into conditional operation on February 1. Deputy Prime Minister Trinh Dinh Dung recently approved a project to strengthen aviation connectivity with tourist markets. Vietnamese shares are likely to remain quiet in the final trading week of the lunar new year with trading liquidity predicted to remain modest.